The LH/DC 7th grade girls will advance to state this Saturday, March 14th. 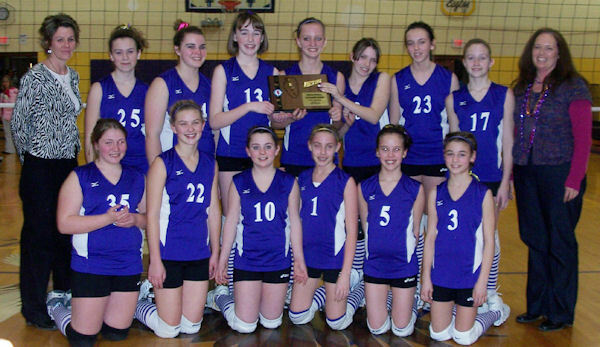 They beat Carthage in the regional championship game 25-22, 15-25 and 14-25. They then advanced to the sectionals on Monday, March 9th to take on a tough Mendon Unity team, but came out on top winning 25-22, 18-25 and 26-24.